When you clear away negative energy residues from fear and worry, your natural spiritual power awakens. This innate power allows you to know the future; freely communicate with God and the angels; and heal yourself, others, and the planet. 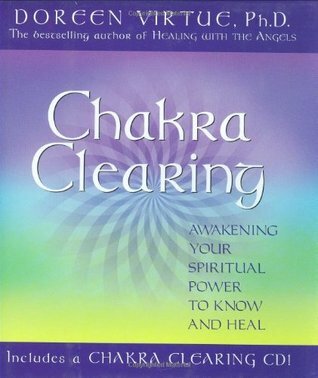 InChakra Clearing, Doreen Virtue guides you through meditations and visualizations to clear your chakras, which activates your inborn healing and psychic abilities. Enclosed you’ll also find a code for an audio download that complements the material in the book. The audio starts with a morning meditation designed to begin your day with a bright, positive energy frequency and surround you with healing light. The relaxing evening meditation that follows clears away energy that you may have absorbed during the day, and invites angels to enter your dreams and give you divine messages. activate your spiritual power to know and heal!